These baths are fitted with efficient, robustly constructed disc type elements and operate at temperatures up to 450°C for the SP5 and 475-500°C for the SP5HT. To reduce corrosion, the High Temperature SP5HT bath itself is constructed from a specially coated 6mm Stainless Steel plate. An outer sheet metal case and ‘cool’ mesh guard are also fitted. 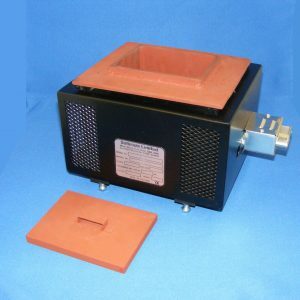 A lid with a lifting handle can be supplied. 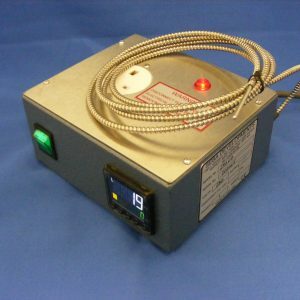 Custom sizes of solder baths can be manufactured to customer requirements please call for quote.